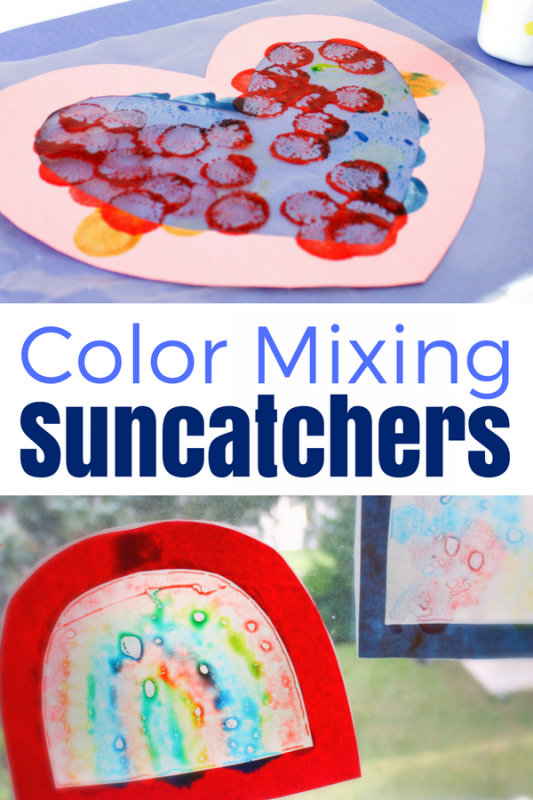 Color mixing is such a fun experience for kids. 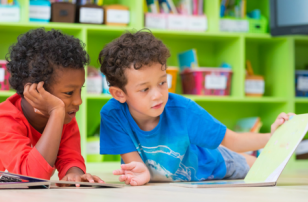 The excitement and wonder that occurs when two primary colors mix to create a new secondary color is beautiful to watch. 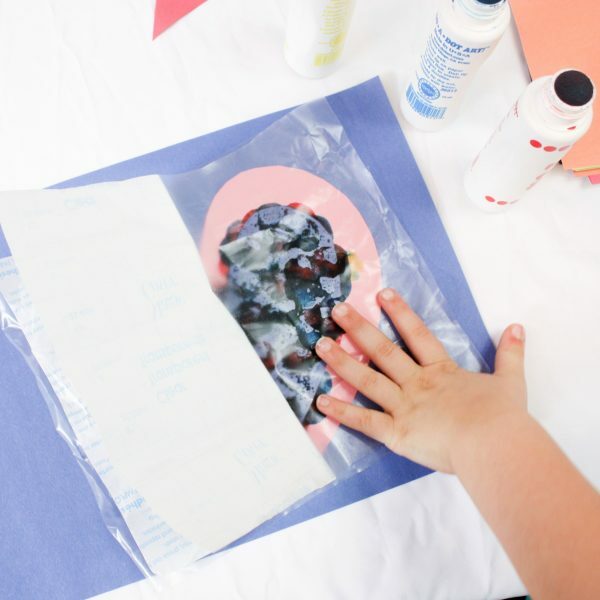 This activity teaches shapes and color mixing through a fun, hands-on art process for kids. 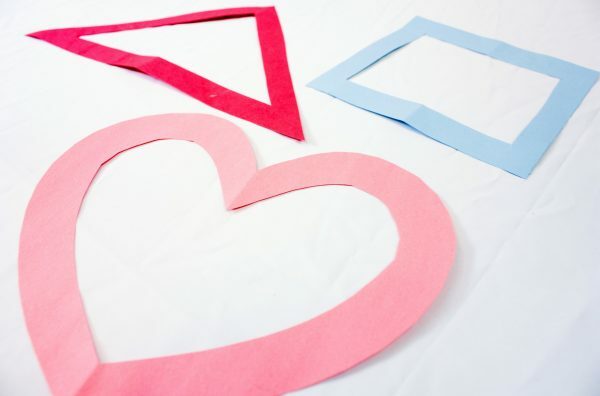 For young children who aren”™t yet ready to cut shapes, you can prepare the construction paper shapes ahead of time by drawing a simple shape and cutting it out, leaving about an inch of construction paper for the shape. 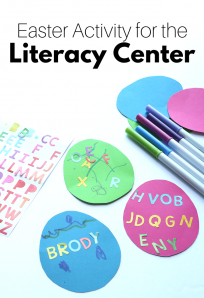 For older children, this is an excellent opportunity to practice scissor skills! 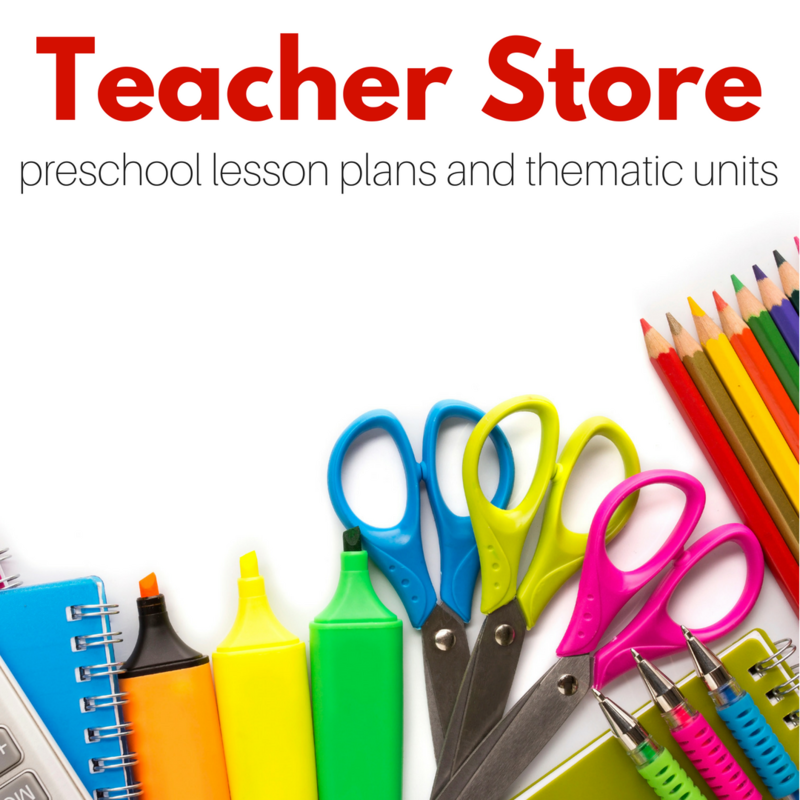 Simply trace a shape on construction paper and allow the child to cut it out. 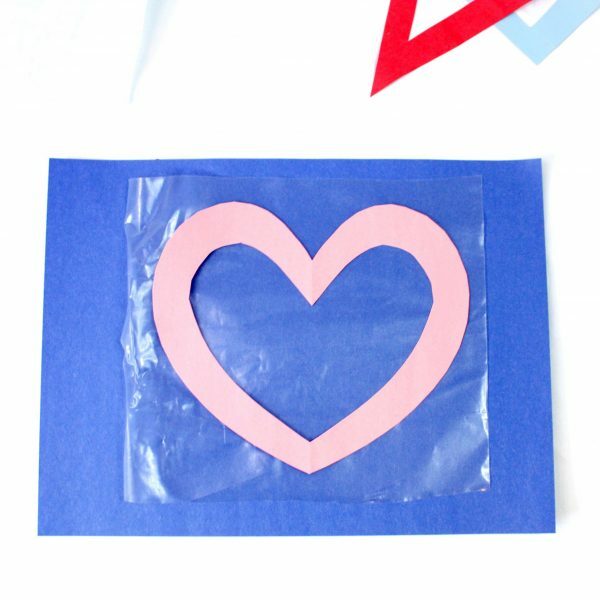 Additionally, you can prepare the contact paper by cutting squares large enough to fit the construction paper shapes in. 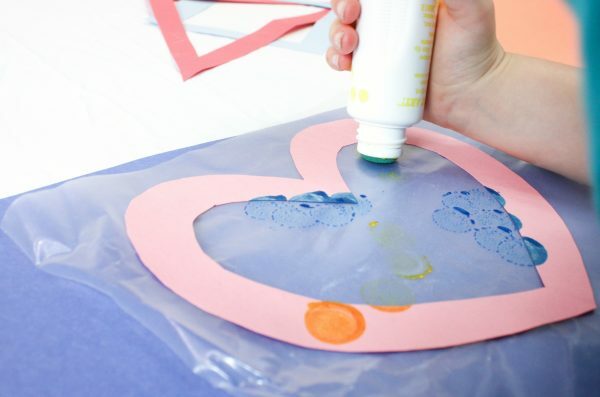 For each suncatcher, place the construction paper shape on a square of contact paper with the sticky side up. 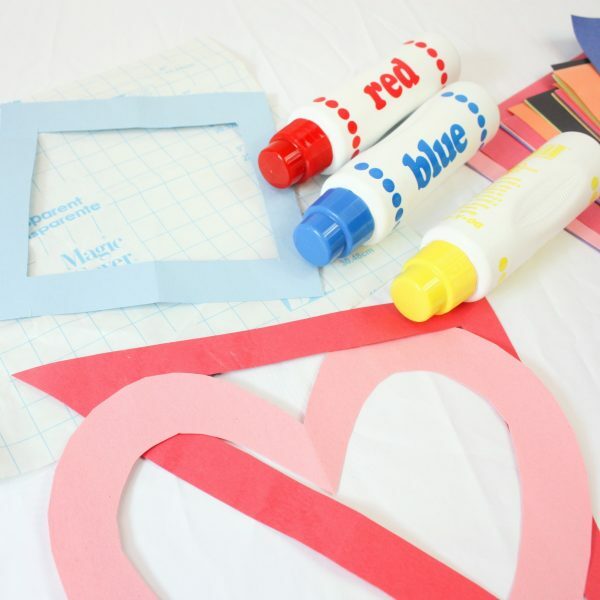 On the inside of the shape, kids can use Do-a-Dot markers to make designs out of primary colors. Once the inside of the shape is covered with primary dots, next place another square of contact paper on top, sticky side down. 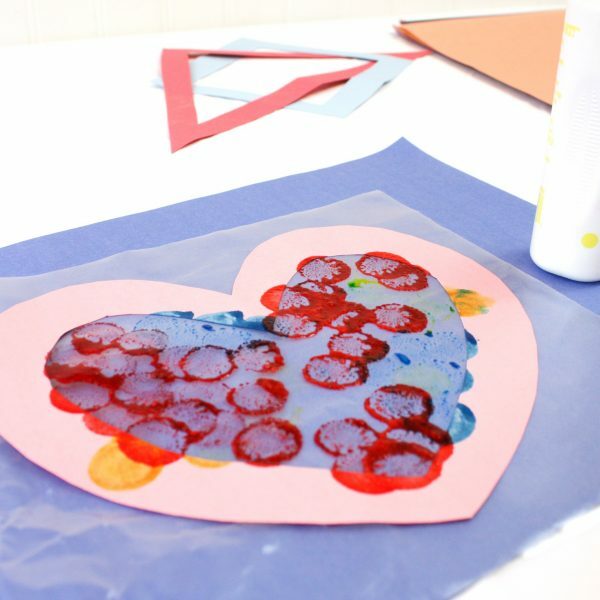 Children can press the contact paper together, squishing the dots together, and creating secondary colors! 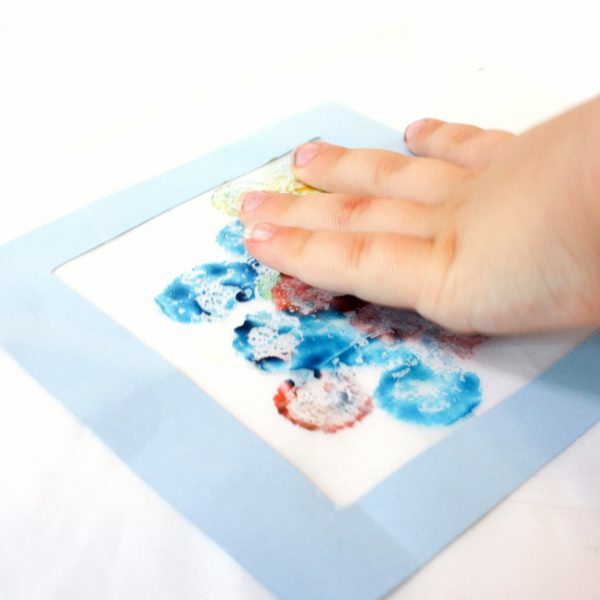 Using a finger, they can draw designs in the colors, watching as the liquid bleeds together. 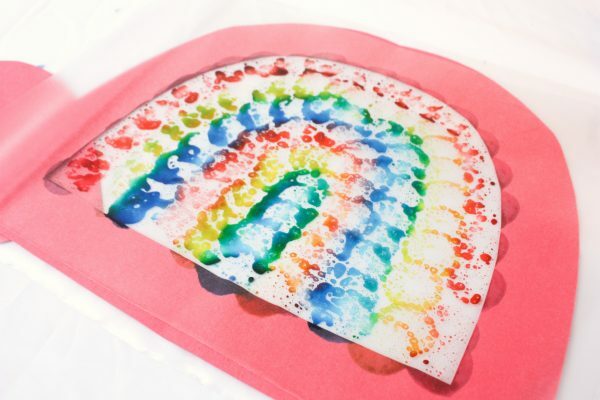 This creates a marbled/stained glass effect in a rainbow of colors. Cut along the outside edge of contact paper to remove the shape, then place a piece of masking tape on the back, and hang in a window! These look beautiful hanging in the window as the sunlight shines through the color. 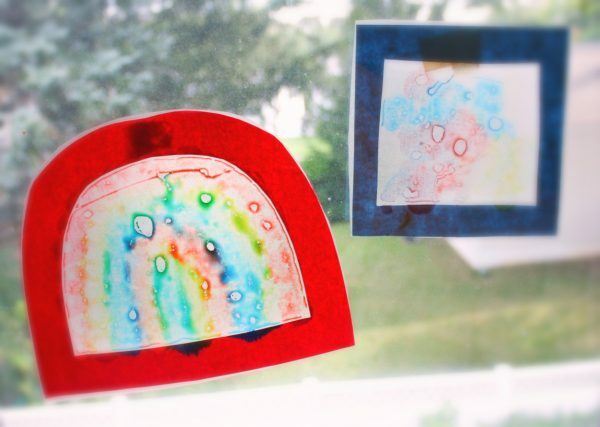 Kids can make these over and over again, exploring with different shapes and designs of color, and will enjoy their beautiful works of art displayed on the window! 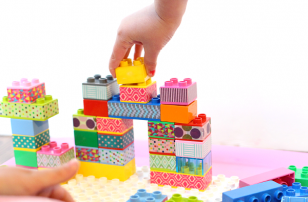 Contributing Author: Katie Chiavarone writes at Views From a Step Stool about kids activities, the importance of play-based learning, and positive parenting techniques. 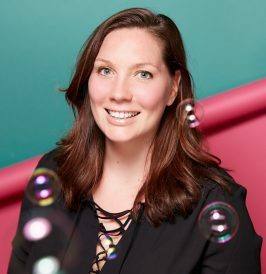 Currently a mom to 3 young children, with previous roles as a preschool teaching assistant, the director of an after-school program, and a behavior therapist for children with Autism, she has had more than 10 years of experience working with children. 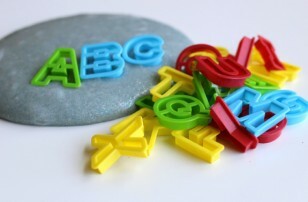 Additionally, she relies on her Master”™s in Educational Psychology from NYU when writing about children and education. 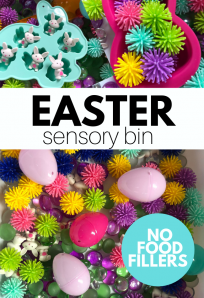 She has co-authored the book The Undeniable Power of Play and can be found on Facebook, Instagram and Twitter. 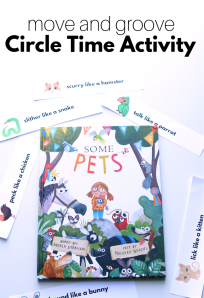 Previous Post: 8 Monster Crafts with Books that Match – Read & Make!